The founder of Impala Space, Gatot Hendraputra suggested students of Universitas Dian Nuswantoro (UDINUS) to conduct research before making a startup business. The purpose was to make the startup business could survive and adjust to the needs of the community and also the market. "Working in startup business world is actually fun but there are still a lot of risks on it. Research on the market’s needs is very important, it must be done first before starting the startup, "Gatot said on Wednesday 7th of March 2018. Startup is a digital solution that can improve some sectors in Indonesia such as agriculture sector, marine sector, creative industry sector, and also tourism sector. Some of these sectors will involve start-up as a solution for Indonesia. Gatot added that the government also had a full support towards startup business that began to spread widely in Indonesia. "UDINUS is very good because they give space for its students to keep making innovations. I also see that their innovations are very creative and highly developed. 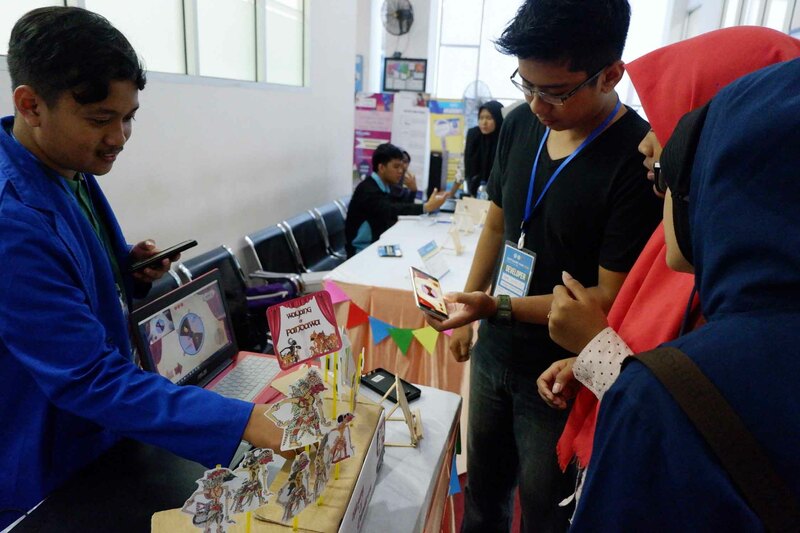 This will automatically stimulate students to be creative, "Gatot said. He revealed that he was still in discussion with UDINUS in increasing startup business in Central Java especially in Semarang. Gatot is also keep coordinating with all elements in developing startup business as he is the head of the creative industry. "The cooperation is still in process, we have to wait the result and it will be a surprise for students who wants to develop startup business, "Gatot said. Gatot became a speaker in the Software Fair 2018 event initiated by Informatics Engineering Student association (HMTI) UDINUS. The event was held in 2 days from 7th till 8th of March, 2018. There was also Sidiq Permana a Google Developer Expert that became the speaker in Software Fair 2018 in the 2nd day. There were 25 software from UDINUS’ students that exhibited.